There's a dark historical connection that shouldn’t be overlooked. This morning TIME Magazine announced Donald Trump as their “Person of the Year”. While the nod was not at all surprising — the cover is not necessarily given to the “best” person of the year — it has still garnered a significant amount of outrage. This frustration is a little misplaced. 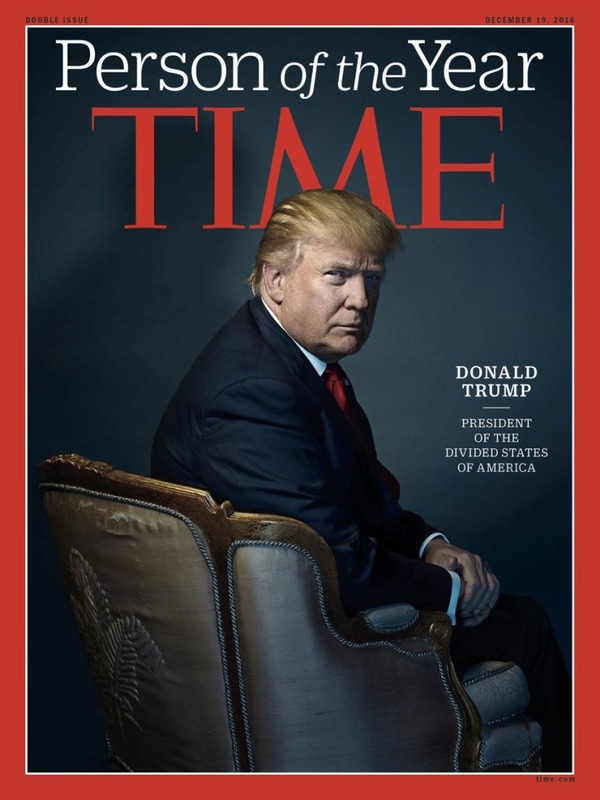 The cover was captured by celebrity photographer Nadav Kander and when seen alone the Trump cover reads as a standard Kander portrait: classic, serious, and draped in blue. But there’s an unspoken coldness to this TIME image — there’s a heavy darkness that settles around that glaring yellow face, a shadow hovers over his left shoulder, and the chair’s fabric is worn and tattered. When seen In the context of the magazine’s history, these photographic choices may hint at a larger, darker, editorial intention that places the cover along a much more chilling historical arc. 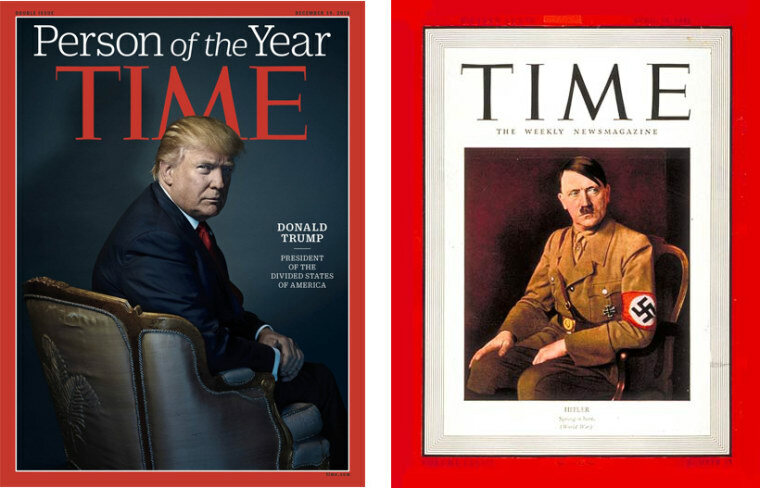 TIME notoriously named Hitler "Person of the Year” in 1938, a fact everyone seems to site whenever the “Person of the Year” issue rolls around. That cover is an illustration of the dictator with his dog. But TIME also put Hitler on their cover in April 1941 and it’s this cover that stands out to me as a reference for this year’s Trump shoot. When seen side by side the similarity between these two images, above, is striking — the shadow against the wall, the mimicked gestures, and far away gaze. Even the monotone nature of the images is important here. Notice the way the walls match the color of the suits. There is a symmetry here that is hard to believe was accidental. The main difference between the images of course is that Trump is facing forward. With his back to us, he’s in the driver’s seat leading us into the darkness. It’s this reality that we should be outraged by.